Russian opposition have voiced skepticism over Vladimir Putin's idea to create an “All-Russia Popular Front”, which politicians believe is an attempt to secure more votes for the ruling United Russia party at the upcoming parliamentary election. Speaking on Friday at United Russia's conference in Volgograd (formerly Stalingrad) the party's head Putin called for the creation of the popular front that would include political parties, trade unions, youth and women’s organizations, Afghan war veterans and all people who are "united by the idea to strengthen our country and the idea to search for the most optimal possibilities of solving the current problems”. 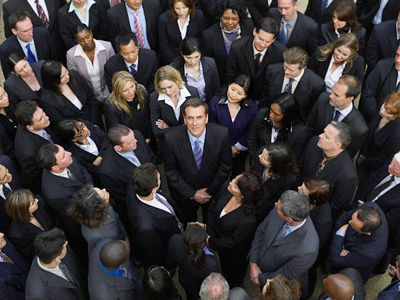 The premier's proposal brought down the house, as participants exclaimed “bravo”. And as early as the following day, Putin discussed the initiative with leaders of public organizations at his residence in Novo-Ogaryovo. The point of the proposal is that leaders of various non-government organizations who share the same ideas with United Russia will be able to get seats in the lower house as part of the political faction, but not being its official members. 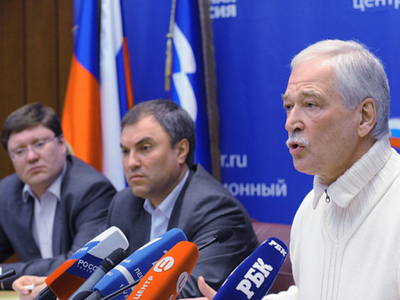 State Duma speaker and chairman of the party's Supreme Council Boris Gryzlov said that United Russia will prepare changes for holding primaries for candidates. "We repeatedly expressed an idea that the number of those who can express their opinion on nominated candidates, should be much broader," he said at a meeting with premier Vladimir Putin and members of the coordination council of the All-Russian Popular Front, cited Itar-Tass. “Now we are even saying that the number of candidates should be broader than the members or supporters of the United Russia Party,” he added. Under the law, the party can nominate up to 25 per cent of non-members of United Russia as candidates for the State Duma deputies. "That means that we can nominate 600 candidates; appropriately 150 of them can be non-members of the party,” Gryzlov noted. The opposition and political analysts reacted swiftly to the news, with many considering the idea put forward ahead of the December parliamentary vote as simply an attempt to achieve better results at the elections. "The people's front should, first of all, have a nationally-important goal. But United Russia does not have such a goal and has never had it. 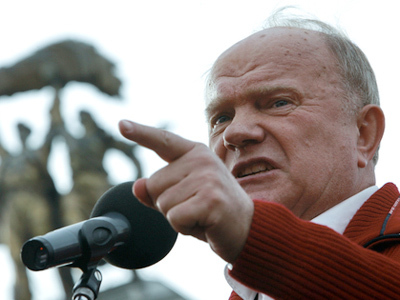 They only care about how to better sell everything out and how to keep their seats,” Communist leader Gennady Zyuganov told Interfax. According to the politician, the idea of creating the front is nothing but “a desire to make fools of voters”. 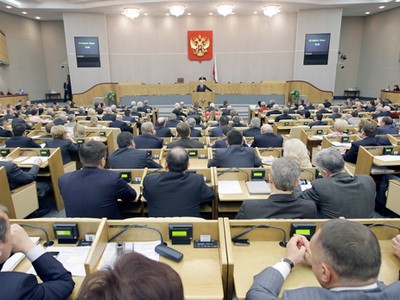 The Communist party's deputy head Ivan Melnikov said that Putin's idea may lead to conflicts within the majority party over the share of future seats at the parliament. At the same time, Melnikov believes, it is Communists who will manage to form a true people's front thanks to their “alternative program of development”. Another party member, MP Sergey Obukhov, recalled that communists and social-democrats set up people's fronts in the 1930s to counter the Nazi threat. 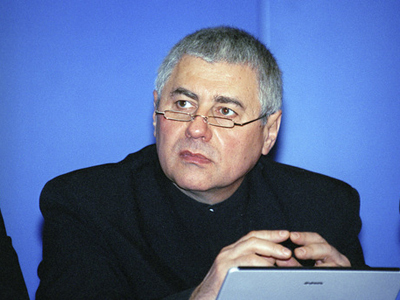 “United Russia is clearly not a social-democratic organization,” he said, cited the faction's official website. The legislator added that the very idea of Communists joining the front is out of the question. The chairman of Fair Russia, Nikolay Levichev, shares the same stance, writes Kommersant daily. 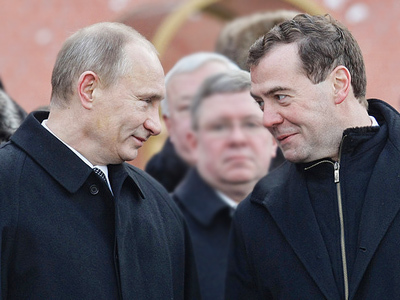 He said that he doubts that his party comrades would join United Russia's front. “And it seems to me they would not want to see us there,” he added. The leader of Liberal-Democrats (LDPR), Vladimir Zhirinovsky believes Putin's proposal signals United Russia's weakness. “Drawing new supporters is apparently a wish to justify a large number of votes that United Russia wants to get. It is absolutely clear to everyone that now the party cannot get 70 per cent,” he said. The very idea of creating a popular front under the aegis of the ruling party is nonsense and has no objective basis, he observed, quotes the LDPR website. “It is only done in special cases. “We remember popular fronts in Spain and France when small political parties who shared similar ideas united… to take part in elections as one bloc,” Zhirinovsky said. The leader of democratic party “Yabloko”, Sergey Mitrokhin, believes that the idea to create the popular front “kills many birds with one stone”. 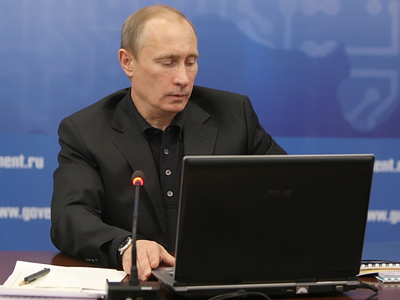 "Putin was told that everyone is fed up with the party he leads. You cannot go to elections with a brand of party of thieves. Public whipping of his own party would do no harm for his image of a strong leader and, also, will help the party itself…Now they can say ‘What [United Russia]? We are having Popular Front here!’ Trade unions, youth and, what's most important – all are non-members of the party,” he wrote in his blog published by Ekho Moskvy radio station’s website. According to the opposition leader, such “publicity experiments” are meant to extend the “inglorious but profitable” rule of the current corrupt elite. A co-chairman of the Right Cause, Leonid Gozman, has ruled out the possibility of his party supporting the initiative “which is aimed at introducing a one-party system in Russia and at elimination of political competition”. "The plans to form some ‘all-Russia front’ reflect the ruling party's desire to hide their popularity decline and their inability to solve problems that the country faces by creating an imitation of wide public support,” he said, cites the party's website. 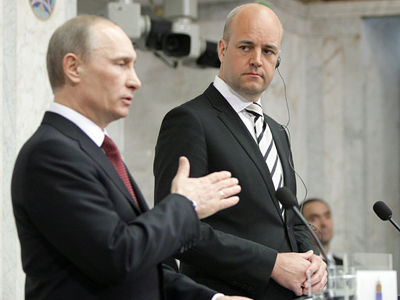 Vladimir Ryzhkov, a co-chair of the unregistered People's Freedom Party, agreed that the move suggested by Putin is aimed at achieving better results at the December election. 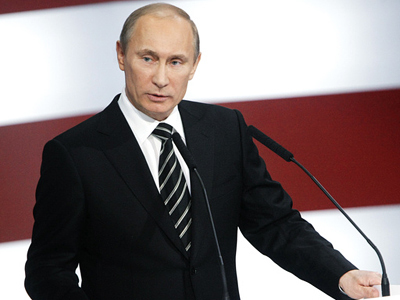 Enlisting people's support, Putin could run for presidency in 2012, Ryzhkov said, cites Kommersant. Boris Makarenko, from the Moscow-based Centre for Political Technologies says that the main task of the people's front project is “re-branding of United Russia”. At the same time, the idea would help to prevent the possibility of “important figures” joining other parties. Whether it is the All-Russia Popular Front or United Russia, very few doubt that the ruling party will win the next Duma election. According to a forecast published earlier by VCIOM public research organization, Putin's party would get over 58 per cent of the votes while Communists are expected to come second with about 13 per cent.